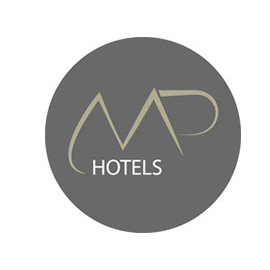 Founded by Meeting Point International, part of the FTI Group, in September 2015, MP Hotels is an international hospitality company with a portfolio of five brands comprising more than 60 properties with more than 16,000 rooms, in 12 countries and 4 continents. Every hotel or resort is built directly by or in close proximity to the beach and offers guests a wide variety of dining options, complimentary Wi-Fi and friendly hospitality services. Meeting Point Hotels is looking for a Content & Communications Manager in Hurghada, Egypt. If you meet the requirements below, you will be eligible to apply via Digital Marketing Community. Aid with creation, conception, and presentation of social media strategy and integrated marketing campaigns. Translate the direction of strategy/planning and creative leads. Liaise and coordinate client service, production and strategy/planning teams ensuring that community strategy supports overall brand goals and objectives. Support and update LABRANDA hotel pages on Trip Advisor, Holiday Check, Zoover, and any other online feedback forum. Analytics- using Google Analytics, Hootsuite, hub spot and other measurement tools to provide reports on metrics and generate insights to improve on those metrics through testing and new initiatives. Interact with local media and build a media database to increase hotel exposure and incremental revenue. Coordinate media events, reviews and press conferences. Help in hotel photoshoots and filming according to brand standards. Draft and translate press releases in collaboration with brand PR to distribute to local media. Write hotels monthly newsletter and internal promotions according to brand standards. Analyze user-generated comments and posts in a quick and timely manner. Respond to comments, when appropriate, in order to foster a positive community and add value to the user’s experience and optimize ranking. Escalate user-generated content, where appropriate, to internal stakeholders. Minimum 2 years of experience managing social media platforms or communities for brands. Expert knowledge of English (written, verbal). Deep knowledge of an additional language is an asset. Demonstarted understanding of popular social networks – design, functionality, users. Proven track record in PowerPoint and presentation tools and skills. Effective experience in social listening tools. Great ability to produce community management guidelines and documents that reflect the holistic understanding and implementation of the role of social media and its effects.